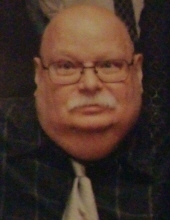 Ronald E. Bowen, 65, of Bloomington, Illinois, formerly of Arrowsmith, Illinois, passed away at 9:07 P.M., Sunday, December 10, 2017, at OSF St. Joseph Medical Center, Bloomington, Illinois. Private inurnment will be held at a later date in Riverside Cemetery, Saybrook, Illinois. Memorial contributions may be made to the McLean County Humane Society. Calvert-Belangee-Bruce Funeral Home, Saybrook, Illinois is in charge of arrangements. Mr. Bowen was born on April 15, 1952, in Bloomington, Illinois, to Donald R. and Lila B. Miller Bowen. Ronald is survived by his two sons, Elliot (Trisha) Varner of Bloomington, Illinois and Gregory (Carly) Varner of Peoria, Illinois; five grandchildren, Blaze Gmeiner, Blake and Mason Harold, and Duncan and Elliot Varner; one brother, Roger (Sharon) Bowen of Champaign, Illinois; one sister, Darlene (Paul) Bishop of The Villages, Florida; and three nieces, Debbie Deedrich of Champaign, Illinois, Katie (Kevin) Builta of Windsor, Colorado and Lisa Brewer of Coco Beach, Florida.